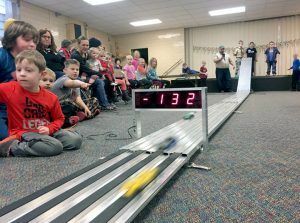 About two dozen Pinewood Derby cars rolled down the track, at Trinity Lutheran Church Jan. 13. For the first time ever, girls participated in the event–carving the little wooden cars with their families, and launching them on the track. 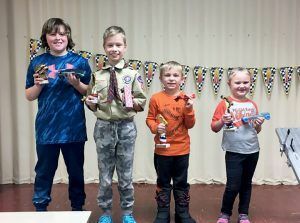 And–another first–a girl was the grand champion of the the Pinewood Derby. Starting this year, girls are eligible to join the Pelican Cub Pack. Individual Dens, however, are all-girl or all-boy. 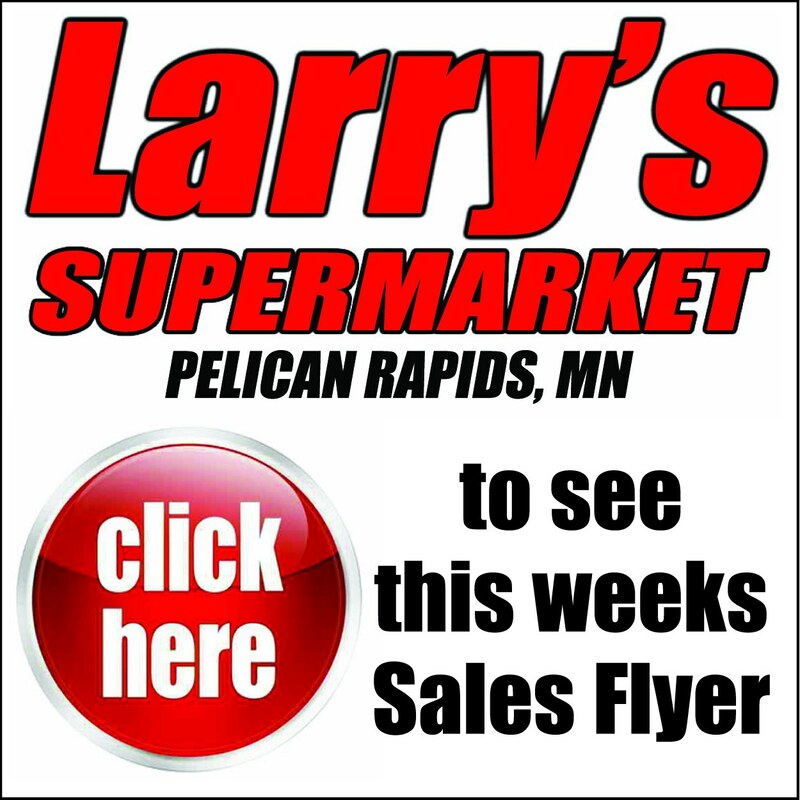 “This year in scouting has been filled with new things,” said Packmaster Steve Herdan. “It has been the first year for girls to join, first year for kindergartners to join and my first year as Cubmaster,” said Herdan. Pack 313 currently has 38 active cub scouts with 15 of those being girls. Pelican is currently working on getting a Scouts BSA troop for girls age 11-17 (6th-12th grade) set up. Starting in 2018, families can choose to sign up their sons and daughters for Cub Scouts, ages 5-10. Local organizations may choose to establish a new girl pack; establish a pack that consists of girl dens and boy dens; or remain an all-boy pack. Cub Scout dens will be single gender — all boys or all girls. Pelican Rapids Pack 313 chose to follow this option. Using the same curriculum as the Boy Scouts program, Scouts BSA is scheduled to launch in February 2019, enabling all eligible youth ages 11-17, to earn the Eagle Scout rank. Scouts BSA will be single gender – all girl troops or all boy troops. 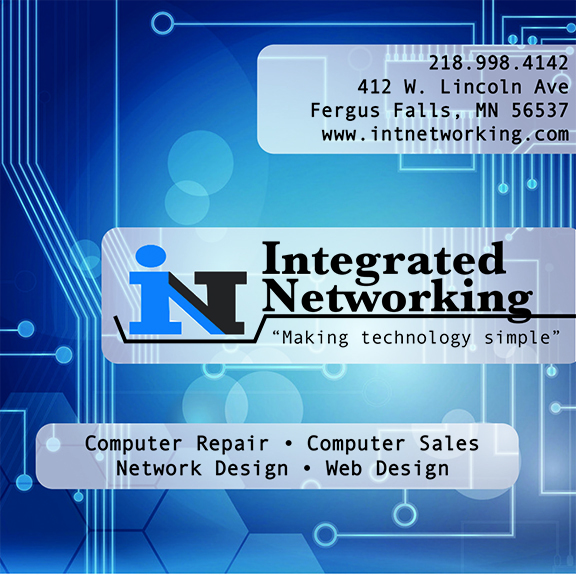 This unique approach allows the organization to maintain the integrity of the single-gender model while also meeting the needs of today’s families. Starting in 2018, families can choose to sign up both their sons and daughters for Cub Scouts. Chartered partner organizations may choose to establish a new girl pack, establish a pack that consists of girl dens and boy dens or remain an all-boy pack. Dens will be single gender — all boys or all girls. • There are more single-parent households than in previous decades. • Many underserved communities, including fastest-growing Hispanic and Asian communities, prefer to participate in activities as a family. • And, all families have less free time. More than one-third of parents feel they spend too little free time with their kids, and millennial parents are desperate to spend more time interacting with their kids.